PROS: new hybrid 3BA+1DD design, high resolution, transparent balanced sound, premium balanced cable with adapter, custom-like universal fit. CONS: premium case would be nice, mmcx connector is tight. Manufacturer website: iBasso. Available for sale on Amazon. I’m still getting used to saying, here is a new IEM flagship from iBasso, a company well known for their DAPs. But at the same time, iBasso is probably one of the few companies who managed to expand their original products portfolio and still able to keep a focus and to maintain a very good price/performance ratio with all their releases. The latest DX150 DAP is one of the examples of how much they carried over from DX200 flagship at a fraction of a price. 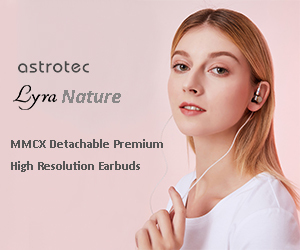 While, IT04 is their new flagship IEM where they did step up in price and performance, relative to IT03, but in my opinion kept it reasonable. There is no coincidence why I mentioned IT03 because I have a feeling IT04 will attract a lot of current IT01 and IT03 users, and others of course, who are ready to upgrade to their next flagship without breaking the bank. Don’t want to get ahead of myself, but it felt like IT04 started with IT03, upgraded it with an additional Knowles BA driver (total of 3xBAs) and 10mm graphene dynamic driver (found in IT01), added a premium cable with an adapter (CB12s, sold separately for $110), and finetuned the sound to a more mature balanced signature (in comparison to a more fun tuned IT03). Here is what I found after spending the last few weeks of testing iBasso IT04 hybrid IEM. Just like with any other iBasso product, regardless of the price, packaging is premium, and you will find on the cover a reference to “InTune” which is also featured on IT04 faceplate. There could be a lot of interpretations of its meaning, and I will share my thoughts in the Conclusion of the review. Surprisingly, you won’t find a leather case with IT04, but the included all metal aluminum puck storage container has a soft velour insert setting to showcase these IEMs like a jewelry on the display. It makes for a great presentation, but I’m sure many will remove it to place IT04 inside with a cable attached, and probably will switch to their favorite pocket friendly slim case when on the go. Furthermore, inside of accessories box you will find a cable and an adapter, and a ton of included eartips. I’m not exaggerating, there were 6 sets of eartips, 5 sets of silicone eartips (S/M/L pairs each), and a set of M/L foam eartips. Finding the right eartip for universal fit iems is important to control the seal and the isolation. The included eartips vary in the springiness of the cap, depth of the cap, diameter of the cap, and length of the stem. Surprisingly, while I’m usually not a big fan of foam eartips, I liked the included ones the most since they were very comfortable and didn’t degrade the sound. 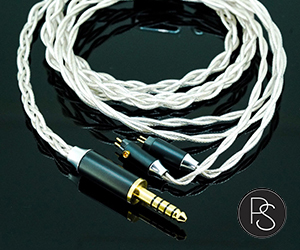 Included stock cable is their premium CB12s cable which is a hybrid 8-conductor design with SPC (silver plated copper) and Copper wires. The wires are very supple, nice flexible lightweight design that will not weigh down the cable. The plug is 2.5mm TRRS terminated and features the same aluminum housing design matching the y-splitter, chin slider, and mmcx connectors. In addition, they include 2.5mm balanced to 3.5mm single ended pigtail adapter. Pigtail adapters give you a flexibility of extending the cable instead of extending the plug (like with a short adapter). Also, for the best performance, it’s always important to have matching cable wires in the pigtail adapter, exactly what you find here. And for your AMP4, AMP4s, and upcoming AMP8 needs with 4.4mm balanced connection, you can use iBasso CA02 adapter to go from 2.5mm to 4.4mm balanced, though I wish they would design a pigtail version of it as well. Another positive thing about the cable – NO MEMORY wire and no pre-shaped flexible earhook tube either. Wire is very flexible, has a soft non-microphonic shielding, stays put behind your ears, and can be secured further by adjusting the chin slider to bring left/right sides closer together. The standard mmcx connection with the shell is tight and very secure, doesn’t spin freely, but keep in mind that cable will not be easy to disconnect, especially since the aluminum housing of 2pin connector is a bit slippery. Page 2 – Sound Analysis and Design. Page 3 – Comparison, Pair up, Conclusion. I really appreciate including Samsung S9 phone. I have the S9 plus. This review makes me wanna pull the trigger with IT04 even though it is out of my budget. Hopefully it is worth it. Pls include the Samsung phone during your pair up review. I’m looking for a very very transparent, micro detailed, neutral sound. Since you have so much experience what earphones would you recommend with these characteristics while keeping the price < 1000$? Sorry, never tried Etys, too deep insertion to get a proper seal, otherwise sound is not right. My ears can’t handle it lol! They suppose to be accurate, micro detailed, but people are saying more on a brighter side. Could be close to it04, I guess. so, IT04 is still have great sounding for smartphone? I listen to a lot of classical – mostly baroque and neo, Delta blues, synthwave, and heavy/prog Metal (Iron Maiden and Ghost are my most played bands). 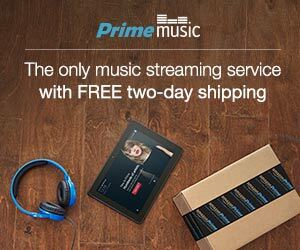 I don’t mind some emphasized bass – just not a fan of boomy bass, esp on those occasions I spin up some hip-hop. either one will work, but IT04 will be more neutral, while Andro will have extra slam in the bass and sparkle up top. I know that for Metal music, some prefer more guitar crunch, so Andro treble might be able to give you more of that. Could u plz compare w80 or p1 to it04? I really interested to these iem and now i use se84(blue filter) .. These are three totally different iems, and I mean like night and day different. W80 is warm, lush, full bodied, laid back, P1 is bight, piercing, analytical, cold, precise, IT04 is more neutral and balanced in comparison to other two, it’s revealing, detailed, coherent, non fatigue. Based on your requirement and taste, I think it04 and P1 will suit you better, and I personally prefer it04. Could you please offer some comparisons with regards to the Sennheiser IE800S? Would you say the IT04 is more neutral, and would it complement the IE800S (new model) in any way? 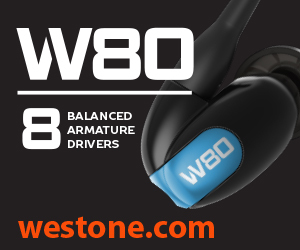 IE800S has a thicker, fuller, warmer sound, and more weight in the bass and a lot thicker lower mids. IT04 has less sub-bass, faster/tighter mid-bass, and a lot more neutral lower mids – making sound more transparent (less colored), more neutral, and more revealing. Also, IT04 has more sparkle and airiness in treble. 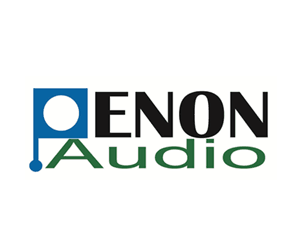 Thanks – as I listed to orchestral classical music a lot, it seems like the IT04 is worthy of consideration, and even replacement for the IE800S! I would use them paired with DX200 and AMP4s. 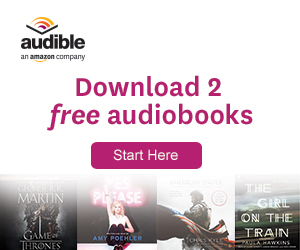 Would you recommend stepping up to the AMP8 for my uses? If you would have AMP4, then no need to upgrade. But if you have AMP4S, then yes, I recommend AMP8. wouldn’t this warrant a comparison between IT04 and those two other IEMs? Hahaha, you were not the first one to ask this 😉 I had many questions on head-fi where I replied but forgot to update the review. Will have to go back, find my notes, and update the write up. When you compared with the Simgot EM5, wow did the EM5 fare in terms of isolation? Is it anywhere near IT04 or at least IT01 levels? Many thanks! I was able to achieve good isolation with both, but that also has to do with me using large eartips. Thanks for the review! 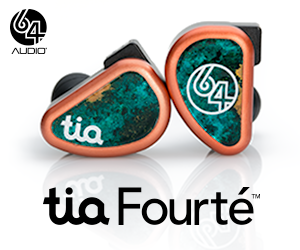 How would you compare it to the InEar StageDiver 4s? SD4s are a lot brighter in comparison. I used to be able to tolerate SD4s during longer listening sessions, but not anymore. IT04 is a lot more natural in comparison, as well as being more balanced across lows/mids/highs vs SD4s being more v-shaped. thanks for the review, I have asked question about CB12s vs CB13 for IT04 on another thread and thanks to your answer. If I want to maintain the neutral signature of IT04, any upgrade cable would you recommend?